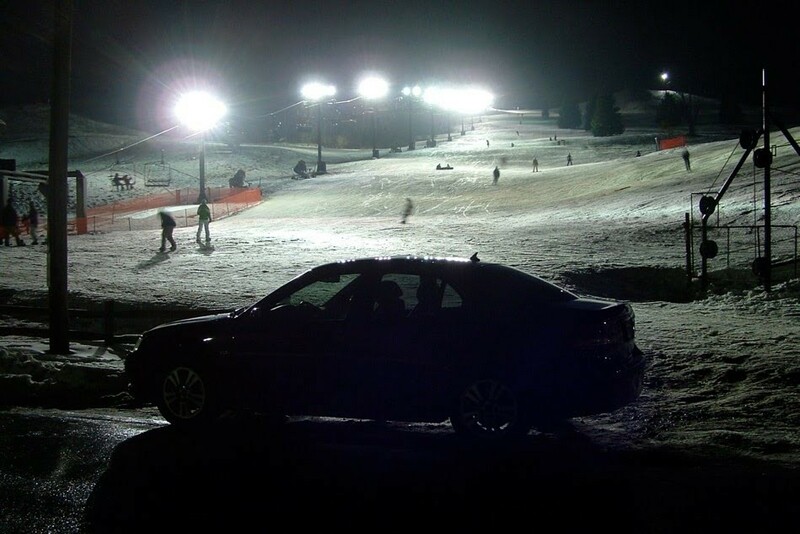 Alpine Valley is the largest ski area in southern Michigan. There are 25 runs serviced by 10 chairlifts and 10 rope tows for various levels of experience. The halfpipe is 350 feet, with verts up to 10 feet high. The terrain park has a variety of ramps, rails and launches. Ski school has group and private lessons, lesson packages, race camps, learn-to-ski packages, fun races, and special programs for children. Hornet's Nest Lounge offers cocktails, dancing and entertainment. Ski rentals and equipment lockers.